I love floral patterns on my nails, so I was really excited about today. I actually tried a new (well, new for me) technique: saran wrap. 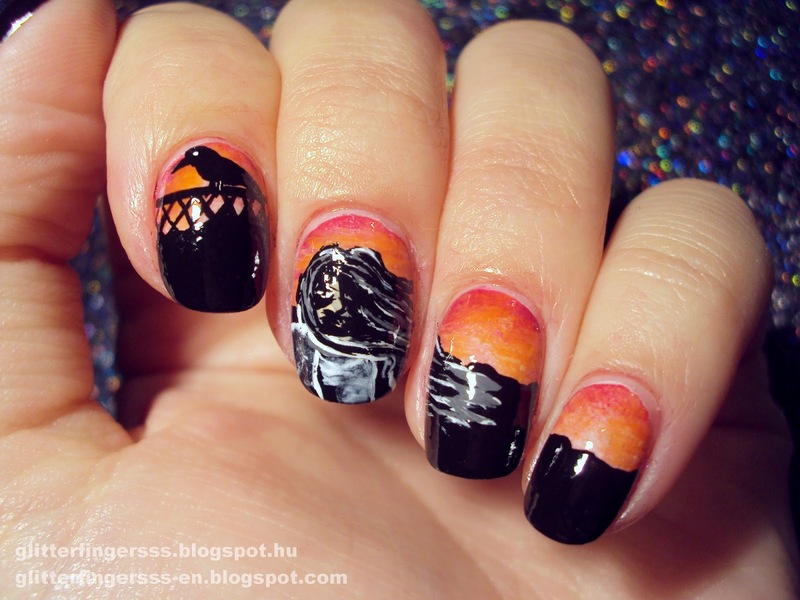 I always liked how the manicures looked like with this technique, but I never tried it myself. My base is a deep plum color, and for the saran wrap technique I used highly pigmented grey and gold. I think it's really pretty, and it reminds me of an old wallpaper. My favorite animal print is snake/crocodile, so I started to search for nice croc prints. I've found a lot and I couldn't decide. Then this question came into my head: what if I make it 3D? And I did. 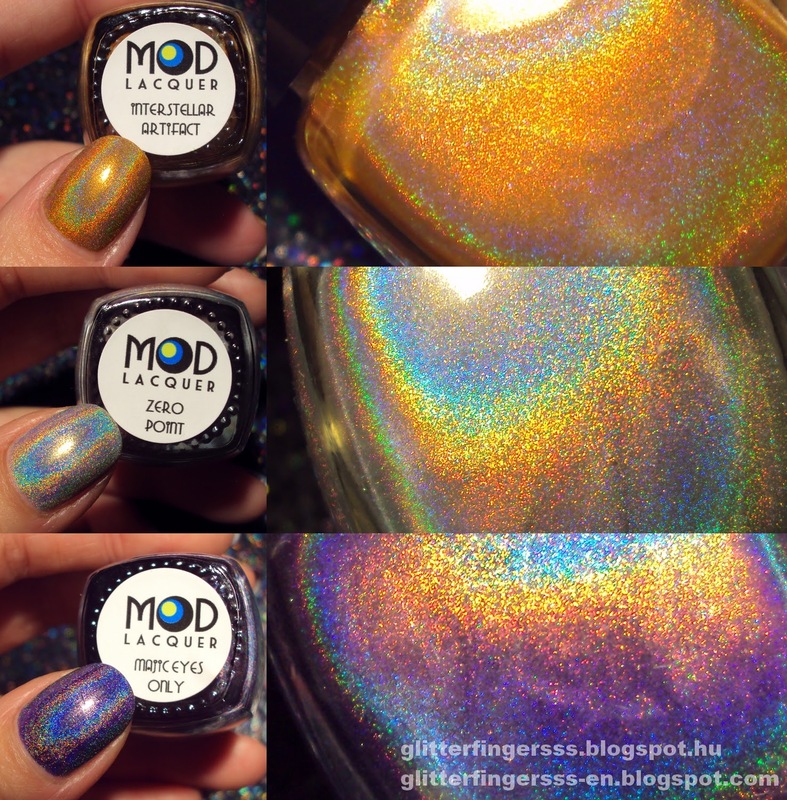 As I promised in my previous Mod Lacquer swatch post, this time I will show you the holographic nail polishes. I got Majic Eyes Only, Zero Point and Interstellar Artifact. I don't own a lot of holographic nail polishes, so I'm not an expert, but I will try my best to describe them. All of them are linear holos btw. The first one, and my personal favorite is Majic Eyes Only, wich is a gorgeous dark purple, but it have some blue in it too, so it' maybe a blurple. I think this is the most holographic from the 3, it's really amazing. Really pigmented, almost covers in one coat, but I recommend 2 coats. Dries quickly and leaves a shiny finish. For the pictures I used only a regular basecoat, so if you have Nfu Oh Aquabase you can achieve even more holo effect. I think it's a pretty good holographic nail polish. I took the photos in sunlight and under a lamp. 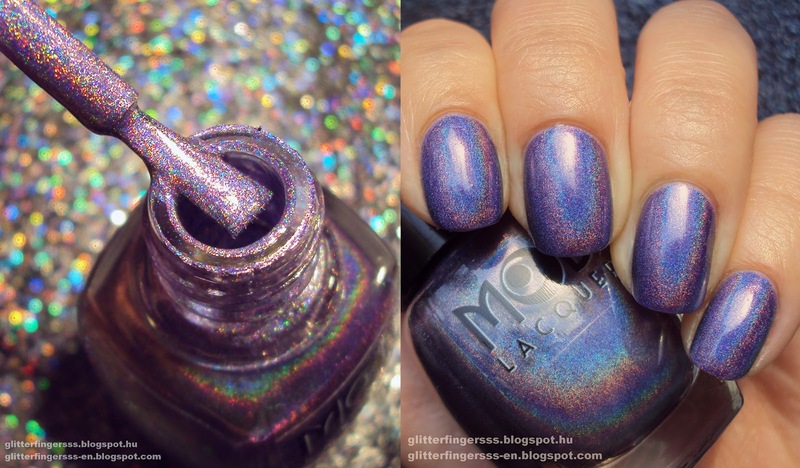 Without any light, it's just a simple purple nail polish like any other holographic polish would be. My second favorite is Zero Point, which is a silver one. I recommend 2 thicker or 3 thinner coats for the perfect coverage. I think it's really pretty and the holographic effect is great too! Interstellar Artifact is a bronzy, coppery gold, so it's more of the orange side than the yellow. The color is pretty unique I think, but it doesn't really work out with my skintone, I don't really like orange/warm yellow on me, but it's totally a personal preference, the nail polsih itself is really awesome. 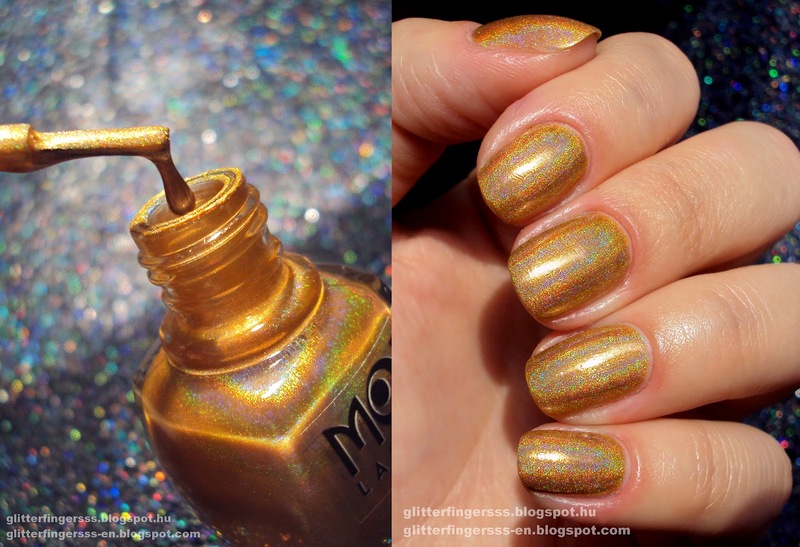 Applies in 2 coats, dries quickly and have a really nice holo effect. And if you've missed out Paranormal Paradise and Satire, you can have a look HERE! Today is all about dots. I don't really make dotted manicures, although I think they are really pretty, but I always end up making something far more difficult than simple dots. So this theme is great for me to step out my comfort zone and make something really simple. It's starting to get cold and really fall here in Hungary, so for today I wanted to make something fall appropriate nail art. The theme was gradient, which I really like and it's such an easy way to bring some excitement into our manicures.